Independent developer Spacetime Studios has reacquired the IP for its Blackstar MMOG universe from original publisher NCsoft, who canceled the project earlier this year. 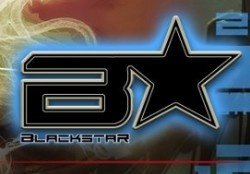 NCsoft canceled the Blackstar development contract in January, although Spacetime co-founder Gary Gattis claimed there were no hard feelings toward the publisher as a result of the decision, saying, "We would work with them again in an instant." He added that the company remained "extremely committed to the IP," and that it would continue to work toward bringing the game to life. The new Blackstar Chronicles is described as a far-future space fantasy combat game combining the single-player traditions of Wing Commander with the multiplayer feel of Descent. "After two years of development, the Blackstar universe is quite near and dear to our hearts," said Gattis. "Owning the IP as well as the engine and tool set puts a tremendous amount of potential in our hands. With all the developed components under the Spacetime team's control, the options for the IP are diversified." "The IP lends itself to almost any kind of gameplay that one could ask for, and was specifically designed to be a long-term franchise," added co-founder and Creative Director Cinco Barnes. "It's a nice sweet spot when you own all the puzzle pieces and we now have extraordinary flexibility in where to take the game universe next." A new Blackstar universe brochure is available for download here. (PDF format.) For more information, check out the Spacetime Studios website.